Online advertising is an ever changing arena and you can observe various changes taking place every now and then. Online marketers and advertisers should always keep themselves updated to reach out to their target audience and effectively market their services and products. Pay Per Click or PPC advertising is immensely popular and there is no doubt that the past few years have seen some great changes and emerging trends in online advertising and it is important to familiarize with the latest trends. From re-marketing and personal targeting ads and many other trends spreading like wildfire, paid search advertising still continues to rule the internet for businesses targeting the largest online market. As a marketer, it is crucial to stay ahead of the curve and continuously have some high performing, fresh campaigns that can drive traffic, generate leads and help with conversion. Today, PPC has become one of the powerful means of marketing and by understanding the latest trends of 2017 and beyond, we can surely be ready with our selling strategy. Google has recently announced a significant change to ensure more control for users over mobile device level bidding in AdWords. It has mentioned that tablet bidding is back and that base bids will now start to apply to mobile with bid modifiers that are set for desktop or tablets. This will help marketers to anchor their base keywords to the devices, according to their business and also make essential adjustments for other devices. They can now adjust bids up to +900% and mobile and tablet devices will soon outpace desktop usage. In the past few years there has been a rise of audience targeting features and in 2017, this will be used by the marketers to take maximum advantage. It is expected to see a potential rise with audience targeting options, which will be integrated into the AdWords and other advertising platforms. Latest ads will be targeted according to age, behavioral signals, devices with increased emphasis on interest based targeting and demographic options. Personalized targeting will help to build customer relationships before they buy and this will help to find potential customers and channel them to the purchasing stage. Google has launched the Expanded Text Ads, which is a new formatting option that allows advertisers more room for ad copy. This effectively doubles the size of the PPC ads on AdWords, which means that the advertisers will have greater opportunities to lure their prospects with the ads. Advertisers will now be able to use two 30-character headlines instead of the 25-character heading. Now the advertisers will have access to 80-character limit for the description instead of the earlier two 35-character lines. There are various automation tools available that will assist you to maximize the resources, specifically once the complexness and number of your portfolios increases. Instead of relying on third party management technology, a hybrid approach can assist you to decide once it starts using different tools. The approach will help to accomplish additional study results that will look into the complexness of the audience and help achieve your selling goals. Last year Google announced updates to its shopping product feed specification. These updates made changes to the information that the search engine needs from the advertisers to run Shopping Ads. Unit pricing will be available for all categories to ensure consistency in the displayed prices. Size and color values will also be compulsory to maintain more consistent shopping experience for the users. Maximum feed file size will increase from 1 GB to 4GB, which means you will be able to use high quality and larger images. This is a winning trend that will allow your ads to feature accurate prices, availability, and specifications with high-resolution imagery. RLSA was officially launched in the year 2013, but it was not fully explored by the marketers. But this year, we are sure that marketers will reap the benefits of RLSA once they understand the potential returns that it has to offer. It gives you an access to an extensive list of search ads where you can easily select ads for the services or products that are similar to yours. It helps to review your returning visitors’ data from the AdWords dashboards to analyze the users’ behavior. All this information will provide greater insights and also control over paid search budget. Video ad campaigns will gain much popularity among the marketers and business owners. With Facebook and Google focusing more on the video ads, it will become the main part of online advertising medium. Visitors usually like to watch rather than read. Presenting ads in the video format will attract more eyes and clicks compared to simple and plain old text ads. 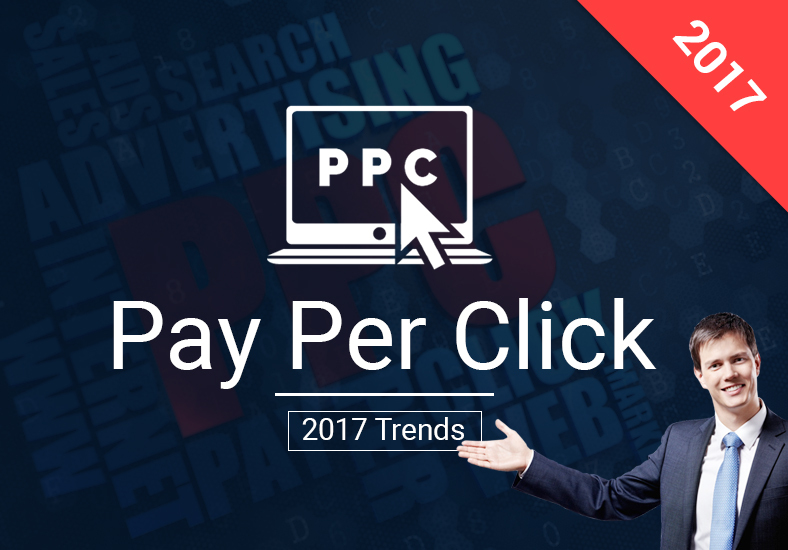 2017 is predicted to focus more on PPC campaigns and advertisers will be seen leveraging the unique strengths of these channels that will help them flourish with a competitive advantage. Stay updated and tuned with the latest trends in Digital Marketing, PPC, SEO, SMO, and Analytics. Joining the best digital marketing training institute will open up great career opportunities and contribute to having a stable and lucrative job. Enquire Now! Call us today on +91 9870486335 or email us at [email protected] and get your queries and doubts cleared!